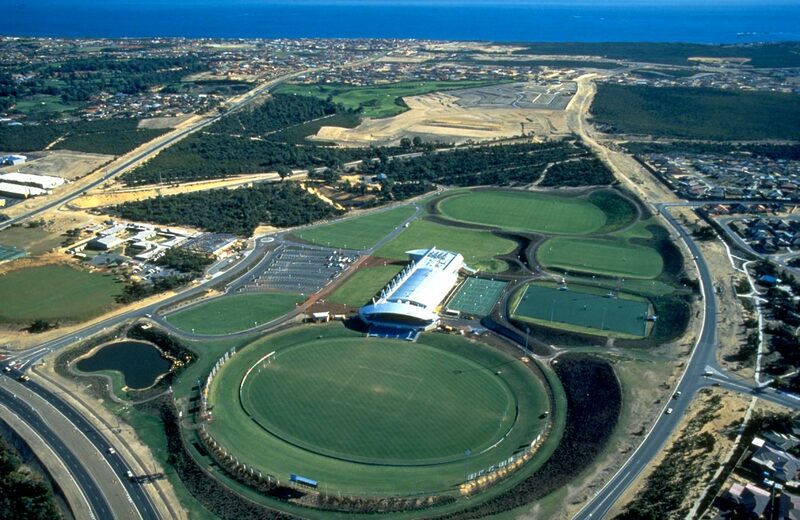 The largest venue of its type in Western Australia, Arena Joondalup provides multi-purpose sport, recreation and aquatic facilities for the fast growing northern corridor of Perth. Located north of the commercial centre of Joondalup on a 35 hectare parcel of land, the complex includes a number of sporting facilities ranging from football, rugby league, soccer, hockey, athletics, netball ,basketball and an Olympic standard aquatic centre. Designed as a pivotal link between indoor and outdoor activities, the Arena building features a multi-use hall, aerobics, restaurant, bar and functions rooms. Engaged as project manager for the master planning, design and construction of Stage One, Benchmark undertook extensive community consultation with a wide range of stakeholders. This included liaison with the West Perth Football Club to ensure the necessary amenities were in place to facilitate the Club’s relocation from its original inner-city base. Competed in 1994, the Arena was the first built-for-purpose multi-use indoor and outdoor stadium in Australia. Today, the Arena has helped consolidate the Joondalup City Centre as Perth’s major northern sporting facility. Now home to more than 30 sporting clubs, 2,500 Health and Fitness Club members, 1,000 Learn to Swim members and 150 community sporting teams, the Arena has become essential to the fabric of Joondalup life.